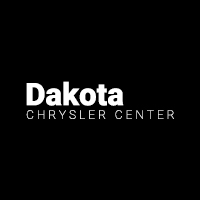 If you’re looking for a 3-row SUV with plenty of power and confident driving dynamics, then look no further than the current lineup of used Dodge Durango SUVs for sale at Dakota Chrysler Center in Wahpeton. Recent versions of the Durango are offered with a towing capacity of up to 8,700 pounds and an available 475-hp HEMI® V8, as well as seating for up to seven passengers and cabin features like the Uconnect® multimedia, leather upholstery, and turn-by-turn navigation. Check out the used Dodge Durango at our dealership near Breckenridge today, where you’ll also find a number of Certified Pre-Owned Dodge models available. Get behind the wheel of a pre-owned Dodge Durango today at Dakota Chrysler Center, your Fergus Falls area Dodge dealership in Wahpeton. And for some great used car deals, make sure to check out our current selection of pre-owned vehicle specials. Our doors are open for sales every day but Sunday, and you can contact our staff to set up a test drive at (701) 403-8016.